Krishnan and Meena Ganesh, the Bangalore-based entrepreneurial couple, have bet big on a simple mantra: Do what the competition is doing, but do it perfectly. And that is the foundation of their company, GrowthStory, one of India’s largest startup platforms. The next few months will be crucial as they plan to launch four new ventures and expand their two-month-old food services business—all under the GrowthStory umbrella. But their challenge lies in the first half of their mantra: Do what the competition is doing. By entering markets that are relatively crowded, the husband-and-wife team cannot afford any misstep. They are developing app-driven startups that operate in areas such as technology education, home improvement and handyman services, food and catering and cloud-based software, all of which already have several players jostling for consumer attention. But they believe that they have what it takes to grab a large chunk of the market-share. They are not only gearing up to take on local (and later national) competition with their food and on-demand home services businesses, but they are also setting the stage so that their three tech startups can compete with established international players in mature markets in the US and Australia. But GrowthStory, set up in 2011, can take comfort from the second half of the power couple’s mantra: Do it perfectly. Meena and Krishnan are aiming high, say those who have been tracking their business model. “He (Krishnan) is certainly pursuing a super-ambitious model of taking multiple concurrent bets and promising to work hard to accelerate his ventures, to connect them to talent, ramp up early customers, and raise good-sized doses of early funds at attractive valuations,” says Ravi Gururaj, chairman, Nasscom Product Council, and co-founder of HBS Alumni Angels (India chapter). However, Gururaj feels that GrowthStory has all the elements of a new generation venture capital (VC) firm, including in-house seed cash, proven hands on entrepreneurial expertise, common operational capabilities and an inherent ‘to-go-big-fast’ approach. “It’s an audacious way of doing business, one which only the Ganeshes seem uniquely qualified to drive at hard,” he says. But Krishnan and Meena aim to break this rule. 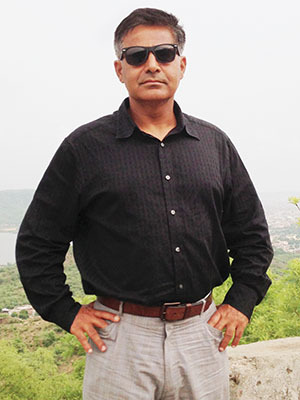 They have considerable experience in the entrepreneurial space, having built and successfully exited three startups: Customer Asset (a call centre and offshoring services company) which they sold to ICICI Bank for $20 million in 2003, Marketics Technologies (a data analytics firm) acquired by BPO company WNS in 2007 for $63.5 million, and online education venture TutorVista. The couple made headlines in 2011 when they sold TutorVista to the UK-based Pearson Group for $213 million. Now that these companies are up and running, Krishnan is focusing on the next wave of potential “billion-dollar businesses”. He’s undeterred by the fact that he’s yet to nurture a billion-dollar startup. Three of the four businesses to be launched, says Krishnan, are in “stealth mode”. The couple’s immediate agenda is to scale up their recently launched Bangalore-based FreshMenu. It is a meal kit delivery service aimed at the busy urban individual who seeks nutritious food, but may not have the time or inclination to prepare one. Experts that Forbes India spoke to acknowledged that while food services businesses are “promising”, driven by the ever-evolving urban consumer’s lifestyle, they come with their own set of challenges. Diversity of food (to create a menu that caters to a number of Indian requirements), meeting taste parameters of home-cooked food and maintaining consistent quality and hygiene across the supply chain are some of the key concerns. FreshMenu’s ready-to-serve and ready-to-cook food meal plans are similar to US startups such as Blue Apron, Munchery and SpoonRocket, all of which rely on apps to deliver meals to customers within 30 minutes of an order being placed. “In this kind of business, where physical delivery is involved, one has to deal with a strong service-level-agreement which is formally defined. When you promise to deliver in 30 minutes, you need to show up on time. There are plenty of variables against this, such as food not being prepared on time, traffic and lack of delivery personnel during peak time. All these bottlenecks come into play. Operationally, it is an intensive business and requires stringent timelines,” says Alok Goyal, partner at Helion Advisors. In September, Helion led a Rs 200-crore funding round for Ganesh’s BigBasket venture. In India, FreshMenu has to play catch-up: Established players such as Mumbai-based Calorie Care (started in 2005) delivers healthy nutritious food, and online marketplace Imly (launched in 2013) offers crowd-sourced home-cooked food to patrons. Started by Abhishek Singh and Pavan Mishra, Mumbai-based Imly is operational in over 10 cities. There’s also Delhi-based FoodCloud—started by Vedant Kanoi and Shamit Khemka in September 2013—which connects customers with local chefs from their neighbourhood. Similarly, Noida-based Langhar is a marketplace for people in search of home-cooked food. “Only a handful of brands will be successful. As a consumer, I’m not going to download 20 different apps for food services,” says Goyal. For now, FreshMenu caters to only three neighbourhoods in Bangalore, but will cover the entire city in three months. Krishnan has given himself a year to expand to 10 cities starting with Mumbai and Delhi. He started this venture in October 2014 with Rs 1 crore, and is trying to raise $10 million (about Rs 60 crore). The couple’s next bet is in the home services space. Their startup will be driven by a mobile app, which promises to resolve household problems such as leaky faucets and faulty wiring by allowing customers to get timely “handyman services”. The business model is not new, and is similar to on-demand home services startups such as US-based Thumbtack, Handy and TaskRabbit, a mobile marketplace for odd jobs. Closer home, Timesaverz, founded two years ago by entrepreneurs Debadutta Upadhyaya and Lovnish Bhatia, has a head start with the launch of Mumbai- and Pune-centric online marketplaces for home services. Expansion to other cities is on the cards. In his own turf, Krishnan will be competing with Bangalore-based startup Honestcollars, founded by Nischay Nahata and Rajat Garodia in August 2013. Sawhney says the current market for on-demand home services in India is largely unorganised, and there is “immense potential” for startups to grow. That said, he admits that the success of a business is dependent on efficient coordination of agents and service providers in different cities. Krishnan, who is not ready to reveal his company’s name just yet, plans to take his startup national after a soft launch in Bangalore. The service and app will be ready to go live in two months. “We want to cover the top 50 cities in India within 12-18 months. There will be rapid scaling up because the model allows us to enter multiple places at a low cost,” he says. He estimates that it will cost Rs 1 crore to launch in every new city. For now, the couple is investing their own money into the venture. Technology education is the focus of the next startup, AcadGild, which provides online Android programming courses. The Bangalore-based startup has been operational for two months, and much like the TutorVista model, it maximises the Indian cost advantage and resources in the form of tutors who teach students how to code. “Our focus is large online markets like the US and Australia where there is a demand for such services. Today, everything is driven by an app, which makes coding a huge requirement in the job market. Professionals in their 30s and 40s, who are not necessarily from a software background, are learning Android coding,” says Krishnan. This is a crowded space, especially in the US. In October 2014, The New York Times reported that 60 such computer coding institutions have been established across the US since 2012. Krishnan believes that there’s room for one more competitor. Krishnan is hoping to cash in on the India cost advantage and its strong resources in technology to compete with the biggies (namely Salesforce.com Inc, Zendesk, Wave Apps and UserVoice) in the US. “Our USP will be simpler usage from a consumer perspective, a lot more categories and instant service delivery,” he says. Though market feedback suggests a huge potential in the category, he is cautious. And with good reason, too. Many Indian startups such as Zoho Corporation, Freshdesk, FusionCharts and WebEngage have already established a strong international presence. “There is a 20 percent chance of failure, though I’m confident that it will go through,” says Krishnan. Targeting the US with a new tech offering is a smart move because the market there adopts new technologies very quickly, says Anil Joshi, a venture partner at the angel fund Unicorn. “Entering such markets makes sense. It is a low risk proposition if one has access to customers there,” he says. The last startup from the GrowthStory platform—slated for a 2015 launch—is an education enterprise, which will provide test preparation modules for competitive exams like the GRE and GMAT. The vehicle for this startup will be smartphones, and here, too, Krishnan intends to compete in the international arena. 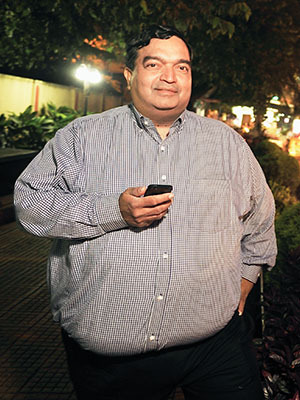 In previous avatars, the now 52-year-old Krishnan served as CEO of the erstwhile Bharti British Telecom, and was executive assistant to HCL founder Shiv Nadar. Meena, 51, has an equally impressive résumé. She was CEO of Tesco Hindustan Service Centre (the UK retail chain’s IT services operation in India), and has worked with Microsoft India, PwC and NIIT. Both husband and wife are IIM-Kolkata graduates. In India, they are one of the rare wife-and-husband teams who are not only successful entrepreneurs, but are also handholding many fledgling firms beyond just capital. GrowthStory has made angel investments in over 20 startups across sectors in the last three years. “They keep tracking and tweaking a business model if need be. While most entrepreneurs in India create products first and then look at selling it, Krishnan and Meena will have a macro picture of the industry as it is now and how it will evolve in the future,” says Joshi of Unicorn. The couple’s older daughter, Akshita, 23, is studying at IIM-Ahmedabad and wants to be a part of the startup world once she graduates. Whether she joins her parents or, braves it out on her own, there’s no denying that the Ganesh family is building a next wave of businesses and entrepreneurs.